;O Love the flowing battered cape- this is such a TWSIT!!!!! @~@ <3333333333 Love the creepy looking tree too! Wow! I just like how well you put the focused girl int he middle and the creepy forest encircling her! Woah! 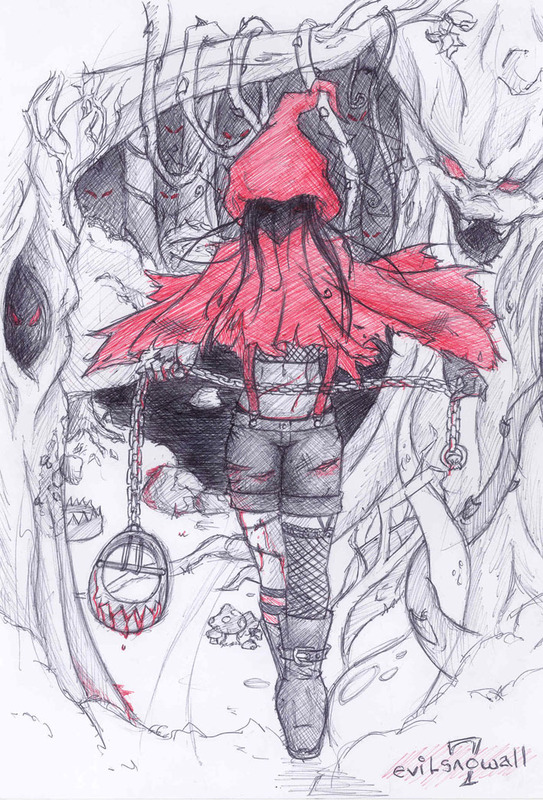 really nice art, i'm a fan of little red too! *FAVE most deffinatley* YAY!